Robi Happy New Year Campaign 2019! 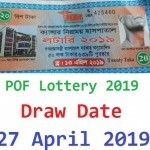 Hello Dear, Welcome to Robi New Year Campaign 2019 Winner selection & Gratification, Tariff Table, Point & Benchmark, Gratifications Details, Terms & Conditions, Customer Support, Frequently Asked Questions Content. To participate in the campaign, type StartMILA to 23333 for Mila and StartBM to 23333 for Bappa Mazumder. After completing a successful initiation, you will receive an SMS containing campaign participation. You will have to participate by answering the first question and will get the next one and so on. You can opt-out by sending StopMILA to 23333 for Mila and Stop BM to 23333 for Bappa Mazumder. Participant who will achieve 850 points will be counted as a winner. Participant who will achieve 1500 points first (1 person) will be counted as a winner to launch a Music Track with Bappa Mazumder. The winner will be informed about the prize over the phone. Winner will be announced within the 15 days after the end of the campaign. No cash money will be handed over to the winners. Multisourcing Ltd. will be responsible for notifying the winner, disbursing gratification, and overall operation and maintenance of the campaign and service. Achieving the benchmark through any fraudulent means or using technical loopholes will not be considered valid. Example: Using application or software (non-Human interaction) for answering questions regardless of any manner. It will be presumed that you have fully read and understood the terms and conditions given in this campaign and then participated. Robi, CP employees will be out of this campaign scope. What is the Campaign modality? 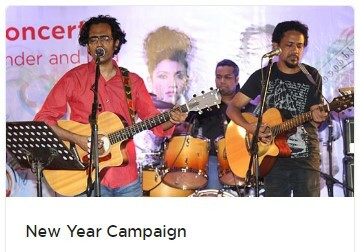 — Make engagement of the celebrity Mila & Bappa Mazumder with their fans through this campaign. People will get promotional text where they will ask to subscribe to the SMS Tweety service of Mila & Bappa to participate in the campaign. After participating subscribers will get quiz instruction and quiz questionnaire to participate in the campaign. Based on the benchmark of 850 points everyone will get the chance to attend the Mega concert. Also who will get benchmark point of 1500 first will have chance to launch a Music Track with Bappa Mazumder. What are the subscription modes of Campaign? How can I play quiz? — After subscribing you will get the first question with answering option and answering that you will get next one and so on. — Type 1/2 for Mila and Type A/B for Bappa and send to 23333 for answering. How can I get next question? — After answering one question next question will come automatically with answering option. How much do I pay for each question? — Each question will charge BDT 2.44. How long will this quiz competition continue? How can I know my quiz score? — Type Score MILA or Score BM and send to 23333. Will I be charged for getting score? — No, Score keyword is free of cost. How many questions will receive in a day? How can I get the last question if I forgot? — Type LQ MILA or LQ BM and send to 23333. Will I be charged for LQ? — No, LQ is free of cost. If I cancel my subscription & subscribe again will I get my previous points? How will I be informed if I win the prize? — Respective CP will let you know via phone call and SMS.